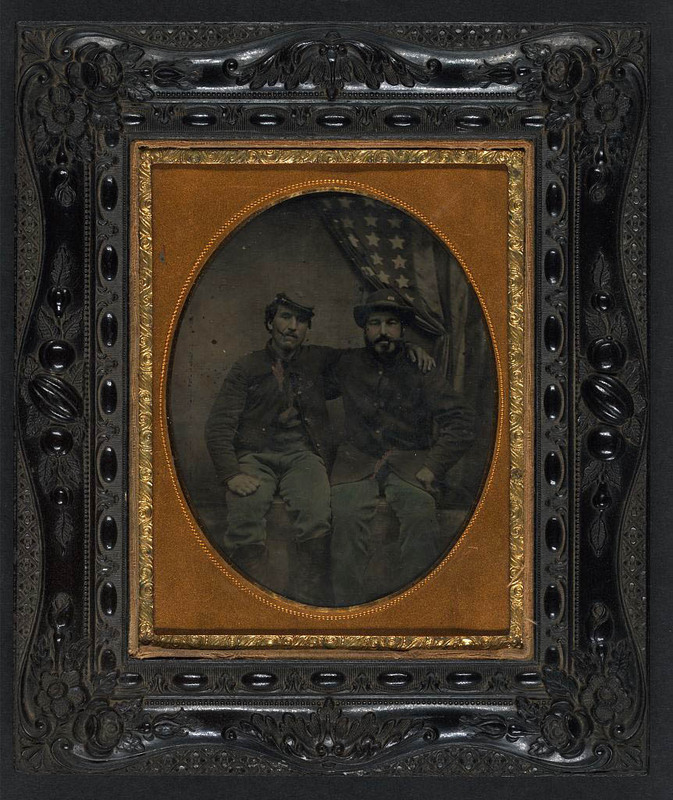 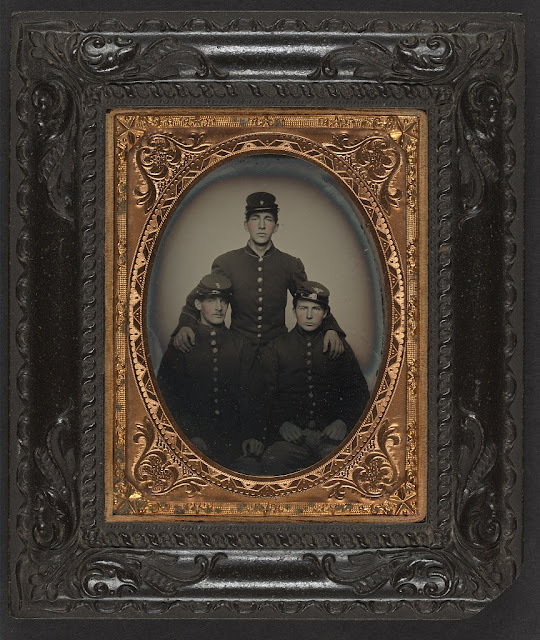 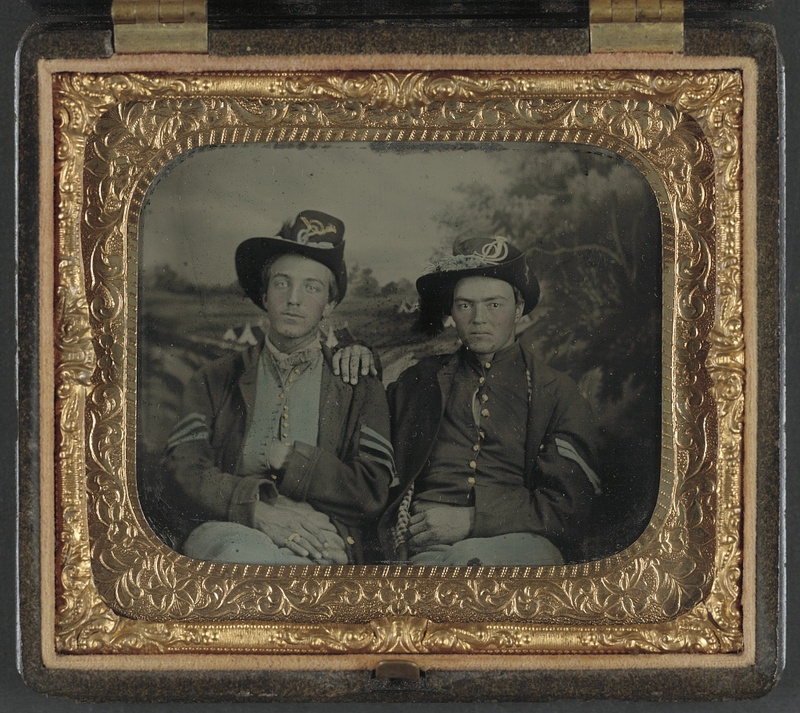 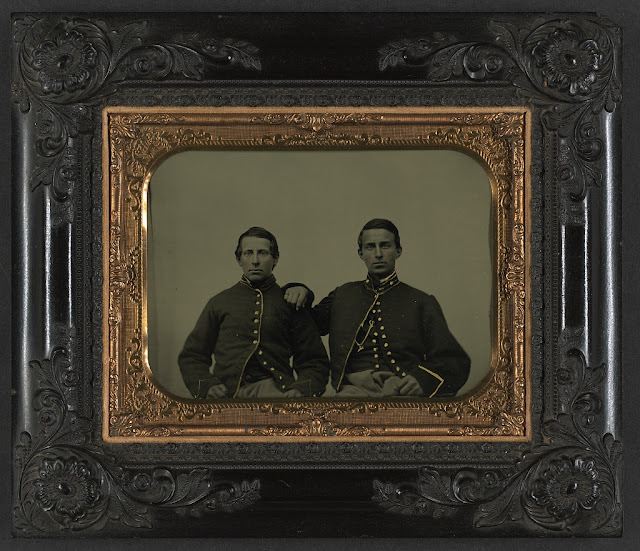 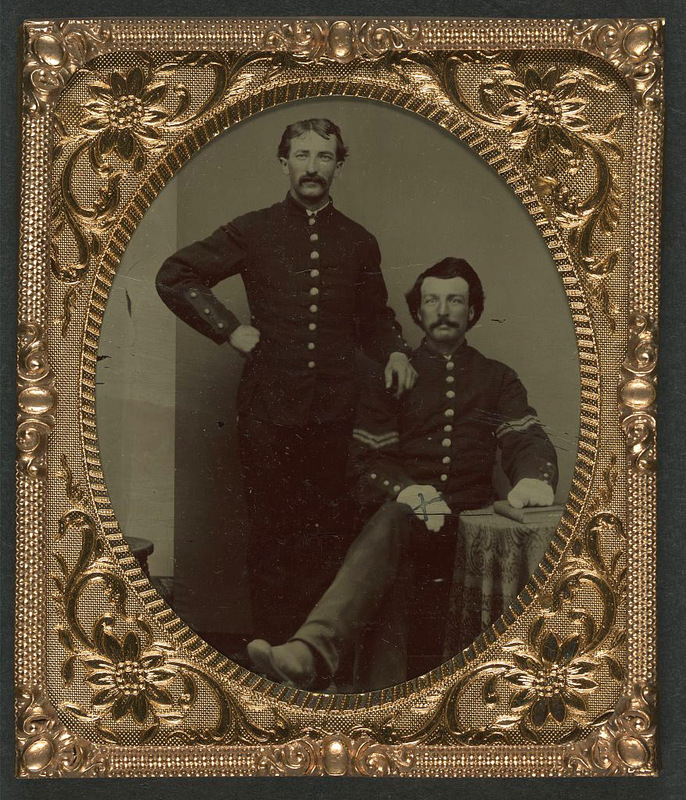 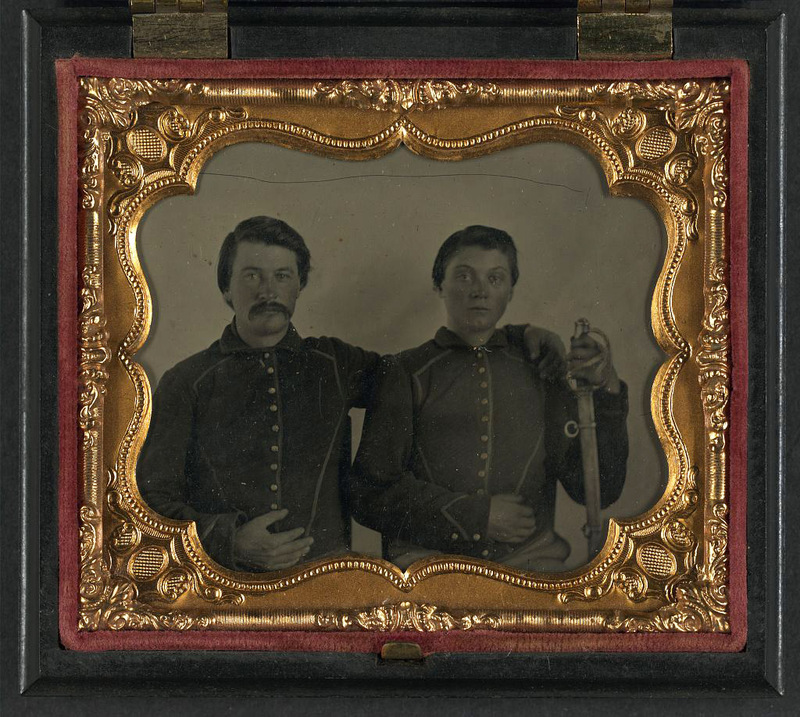 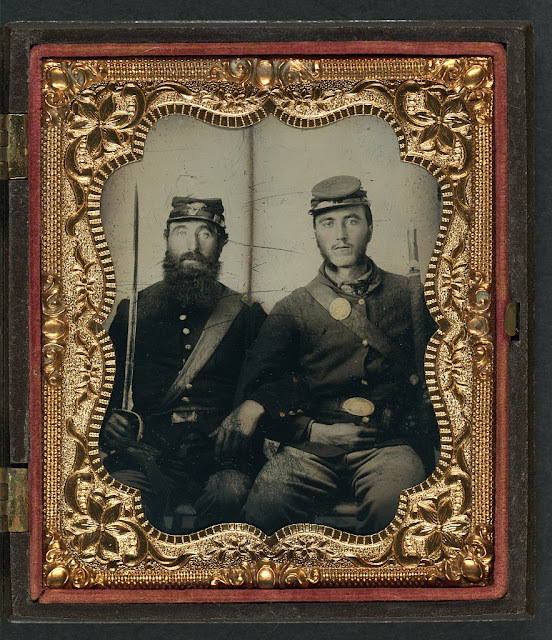 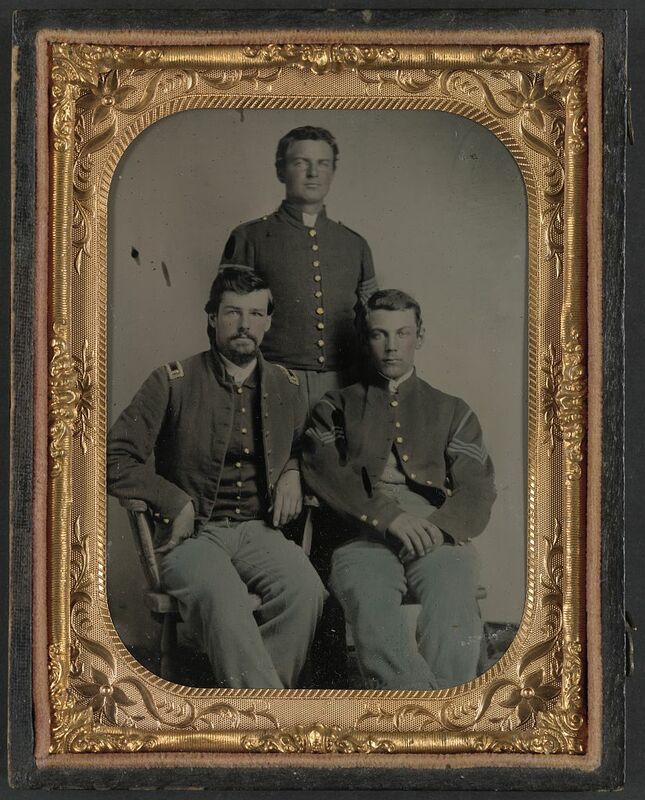 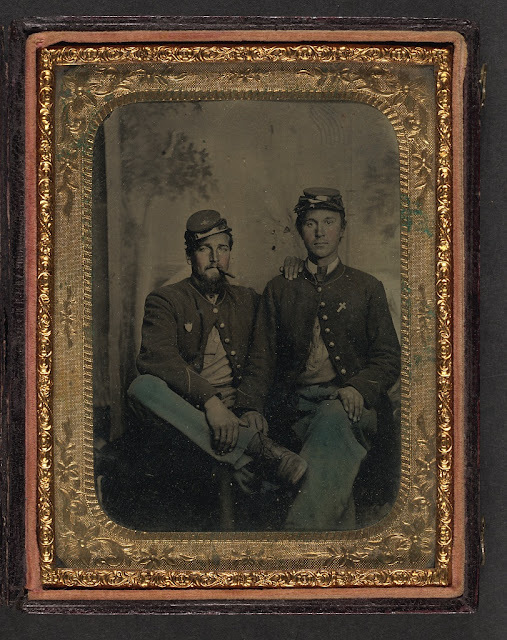 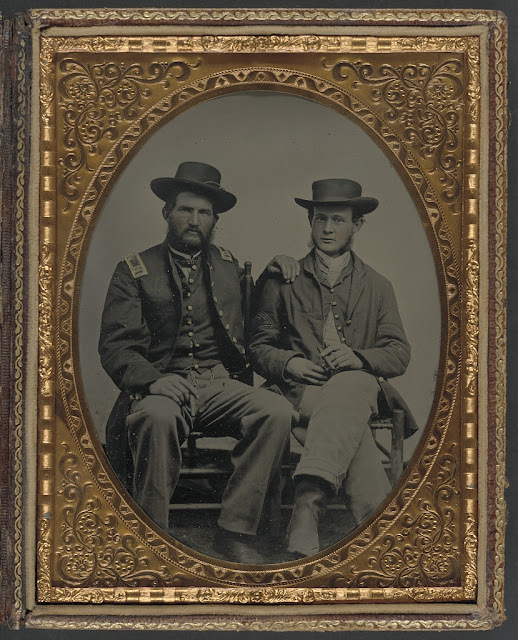 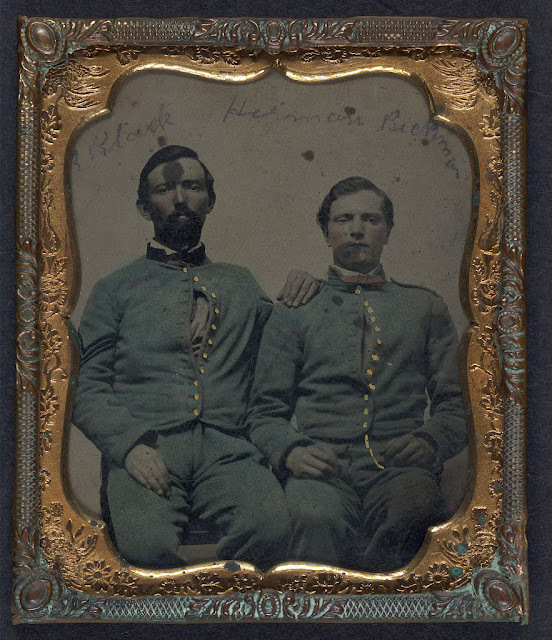 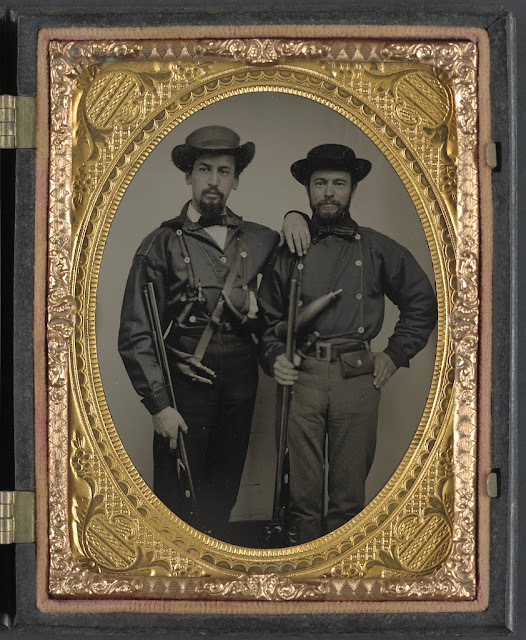 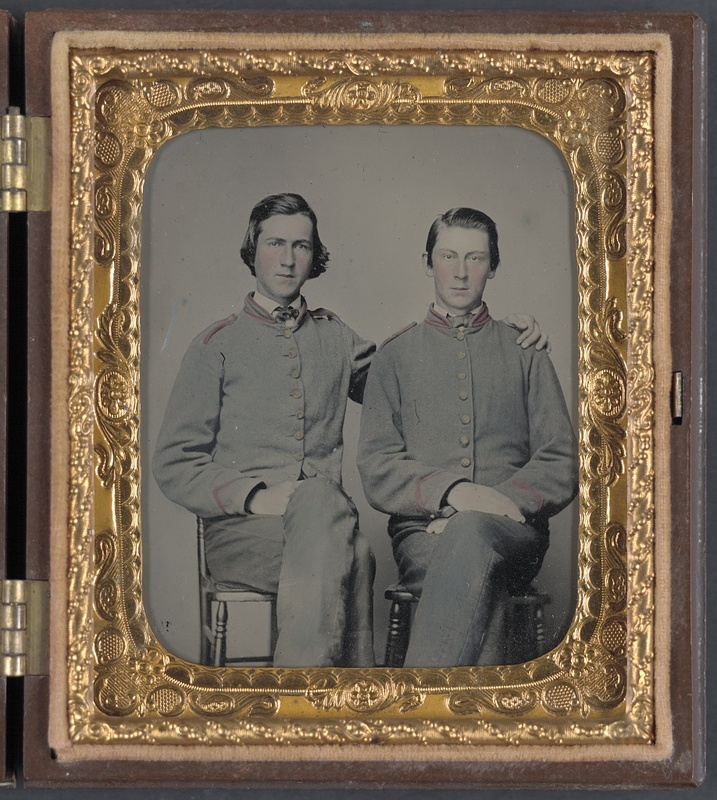 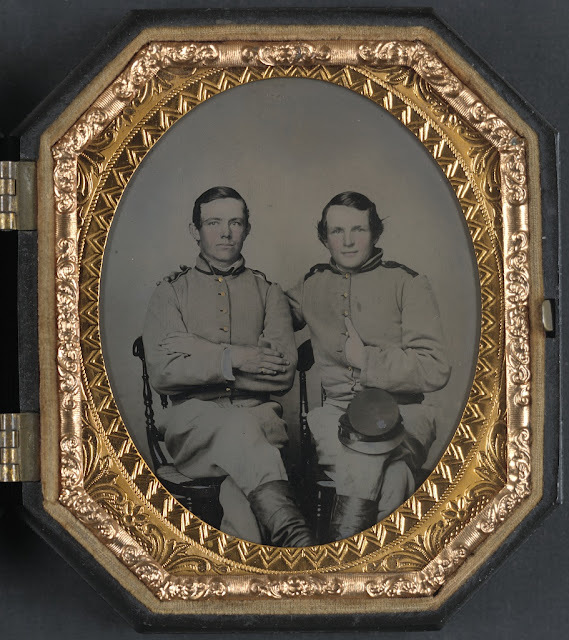 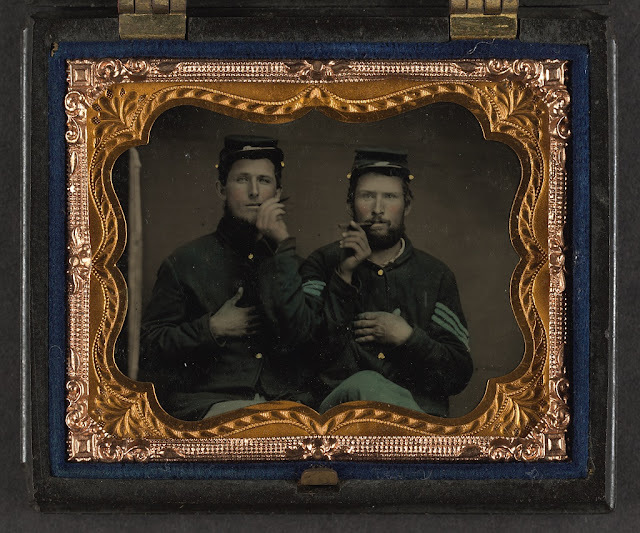 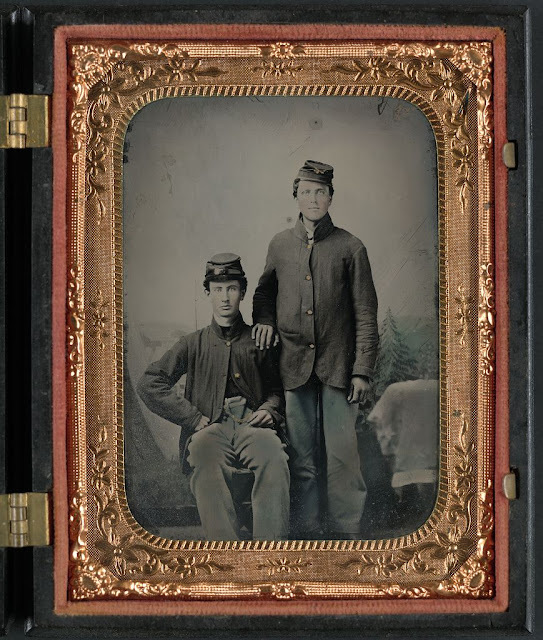 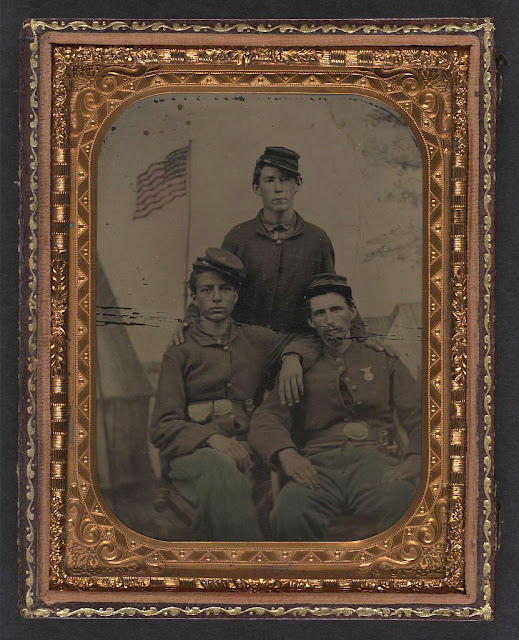 As we've seen before-- and as you can see with even the briefest visit to the Library of Congress's holdings-- photographs of soldiers during the Civil War were very popular. After all, this might be first, only, and/or last time one of these men might be able to get his picture taken. With that in mind, I find it striking how many of these men wanted that picture to be with a friend. 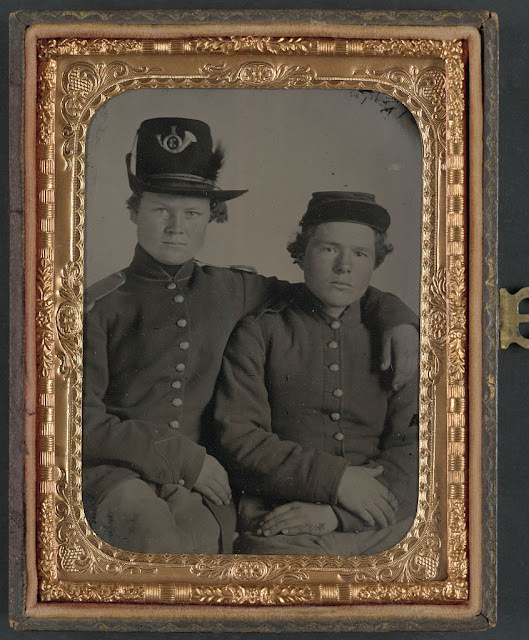 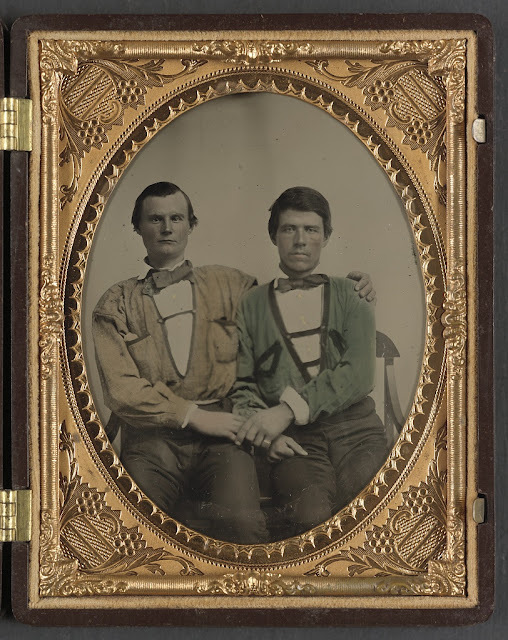 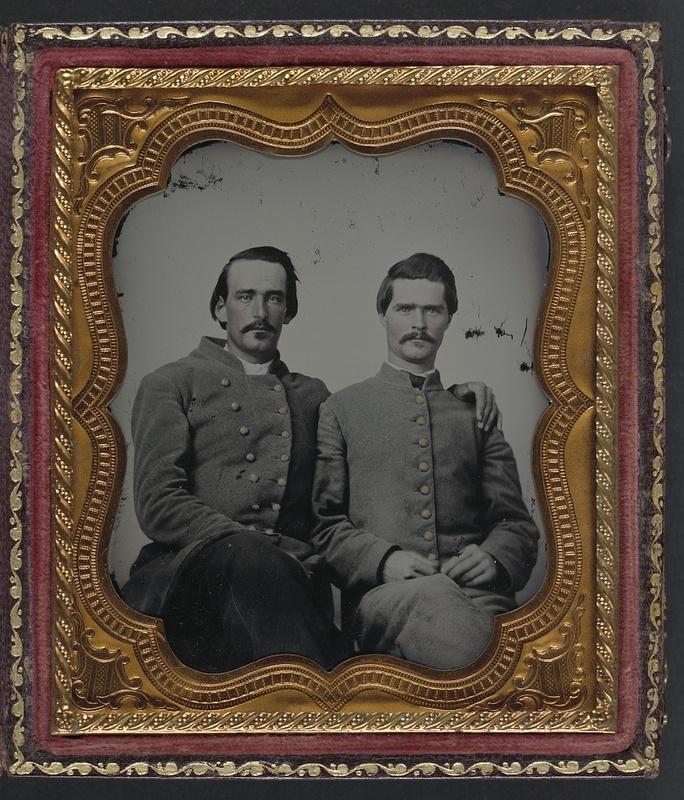 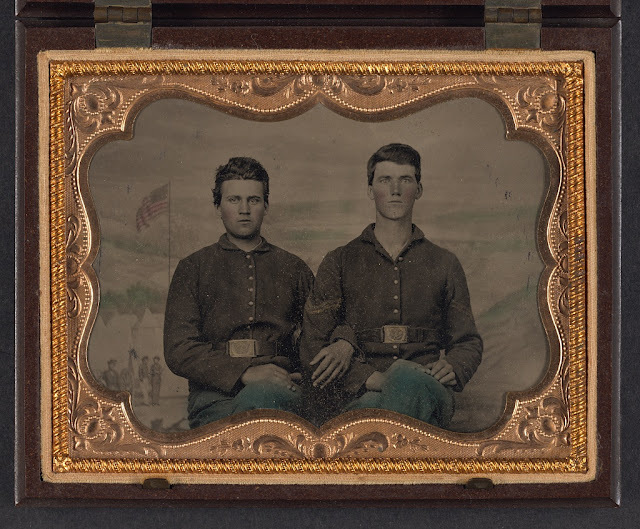 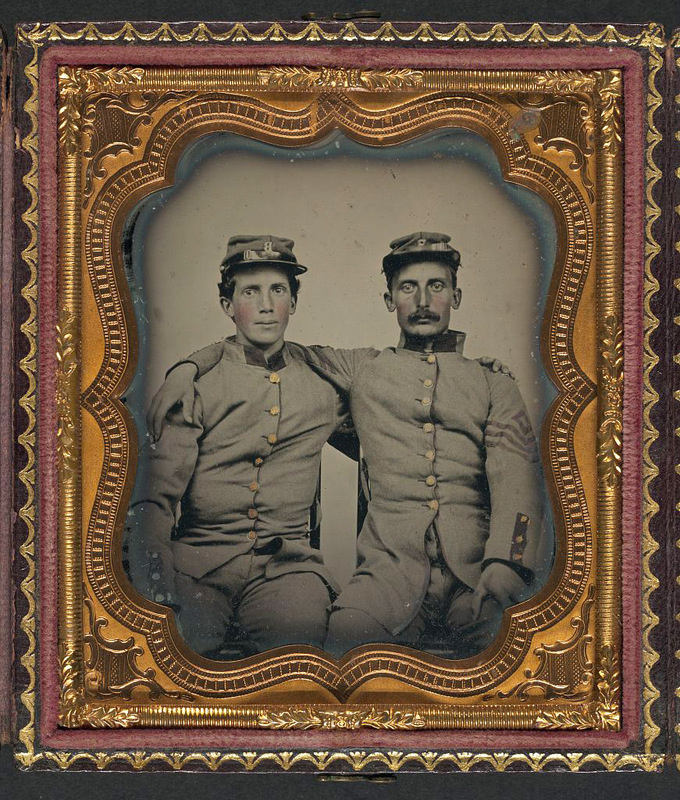 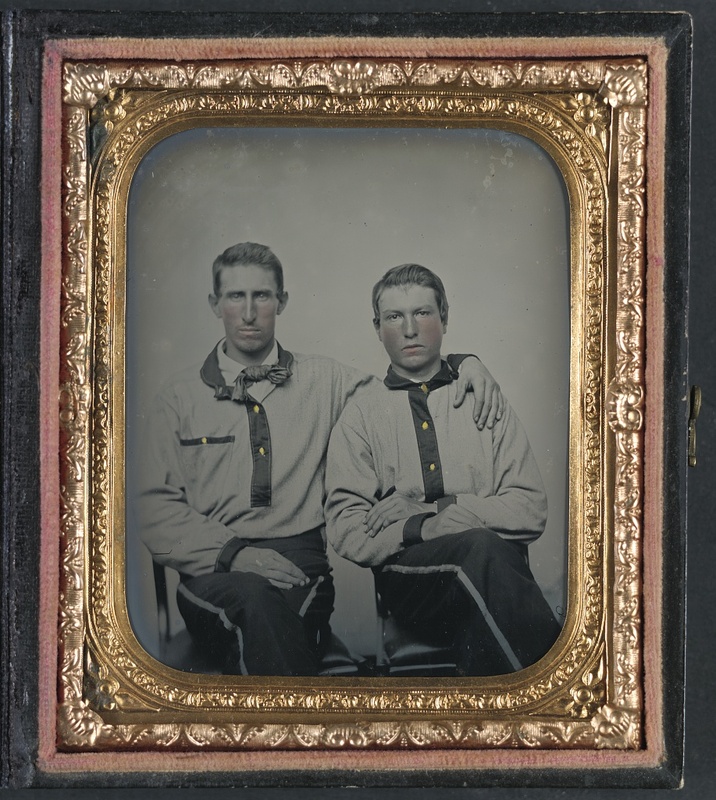 It's especially touching how they made sure to display the affection they felt for one another, with arms on shoulders, linked arms, and even held hands (the mid 19th century was a lot less uptight about displays of male affection, perhaps surprisingly). 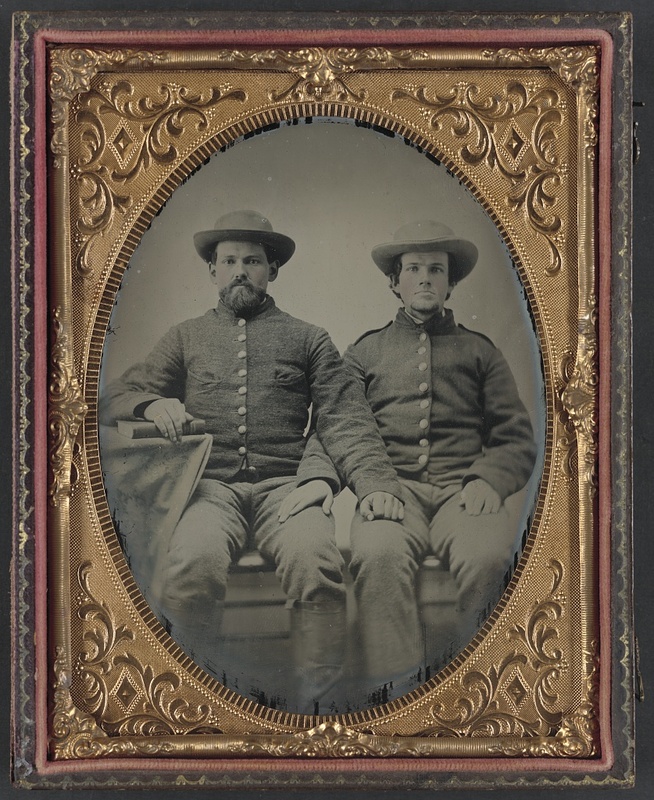 smooth-bore rather than rifled, based on the appearance.